With the New Year’s holiday just around the corner, it is important that all of us take a moment to remind one another to be safe and smart this holiday season and find a designated driver. Driving drunk can not only land you in jail, it can put the safety of everyone else on the road at risk. Do the responsible thing. If you drink, don’t drive. It’s just not worth it. According to the FBI, close to one and a half million people are arrested for driving under the influence of drugs or alcohol every year. According to Mothers Against Drunk Driving (MADD), 27 people are killed everyday as a result of people who drive drunk. Even more disturbing is that each year 131 of these DUI victims are innocent children who are killed in car accidents in which the driver had been drinking. If you have made a mistake, had a few drinks, gotten behind the wheel of an automobile, and been charged with a DUI, a criminal defense lawyer may be able to help. While each state’s laws vary, in general a Driving Under the Influence (DUI) charge can cost on average $10,000.00 to resolve. This includes fines, court costs, fees, and possible restitution. The costs can be even higher if you have damaged someone’s property or injured another person. If you have injured another person, in addition to criminal charges, you may also be facing a civil personal injury claim for the car accident. 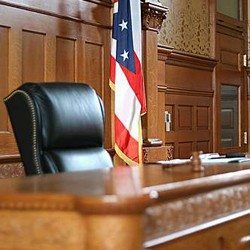 A DUI defense attorney can assess the legality of your roadside stop, evaluate the legitimacy of alcohol blood or breath tests, and assist in hearings related to the suspension of your driver’s license and possible jail time. In general, fighting a DUI charge is not something you want to attempt to do alone – especially if your employment requires a clean background and a driver’s license. IMPORTANT: This DUI and Criminal Defense Blog was written by a guest attorney or a representative of a law firm other than our own. Our law firm does not make any representations as to the accuracy of this information or to the accuracy of the information linked to within this blog. This blog is intended for informational purposes only. If you have questions or concerns related to your specific case, it is important that you reach out to our criminal defense law firm in person to speak with an attorney who can advise you of your rights based on the very specific circumstances of your legal issue.